A dear friend is expecting her first baby. Over the last few months a circle of girls arranged an elegant shower for her. We went with a lamb theme to coordinate with her crib bedding and proceeded to make lamb everything! It goes without saying that I would make lamb cookies. Well, we hit “unforgettable” on the mark! The day of the shower, the tables were set, the clean white tent was up, the decorations were hung, food was prepared, but our lamb had not yet arrived. The guests were pulling up and still we had no lamb. Suddenly, that lamb turned into a white blur and flew out of that truck at high speeds! 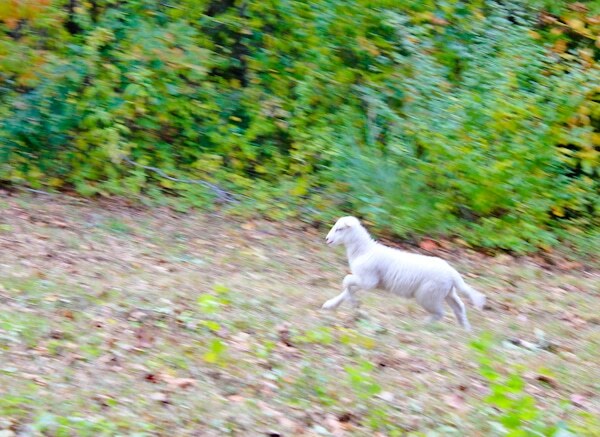 The lamb was on the run. Children were in hot pursuit. 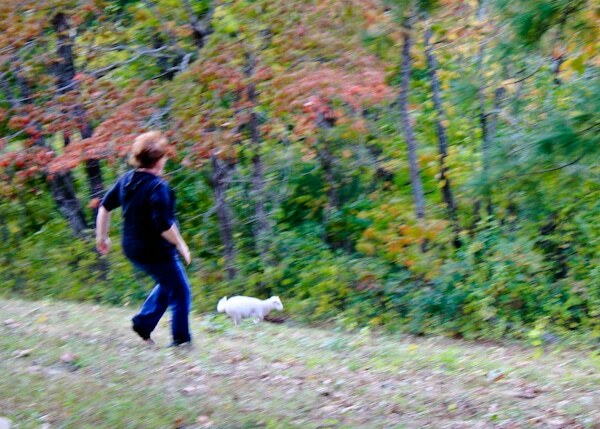 Ladies in heels were sprinting into the pasture to corral the lamb …but lambs are fast. Really. Fast. Through the course of the afternoon, several people almost caught that lamb. Yet the lamb always wriggled free and was off in a white flash. At the end of the shower we called for backup. Husbands came and took the table clothes off the tables to use as a shield to coral the lamb… with no luck. Finally, hours later, we had to call the owner to bring a herding dog to catch the lamb. Moral: Never invite livestock to a baby shower. That being said, it was a beautiful, and most definitely memorable, experience. My Cut Out Cookie Recipe and Favorite Sugar Cookie Icing were a big hit. And just look at the rolling landscape and the decorations. For the cookies, I used my most beloved cut out cookie recipe and sugar cookie icing, because it’s a sad truth that most “pretty” cookies don’t taste good. …and I hate that! This recipe makes a delicate tender cookie with a mild spice flavor that can still hold up to being rolled and cut. The icing is silky and dries with a satin sheen. 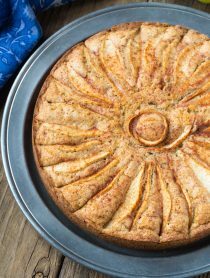 It can be flavored and colored to use for any occasion, like your Halloween Party and Christmas Cookie Exchange! Two words, COLD DOUGH. In order to produce cut out cookie with the perfect shape and texture EVERY TIME, the dough MUST be cold. 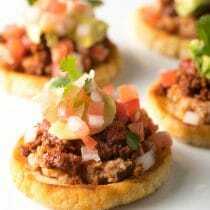 Wrap your dough into several small disks, so you can take one out of the fridge at a time for rolling. To make the bumpy “woolen” texture on the top of the lamb cookies, I cut the cookie, then sprinkled a handful of Rice Krispies on top. I gently pressed to cereal into the cookie, then removed the cutter, and placed it on a baking sheet. 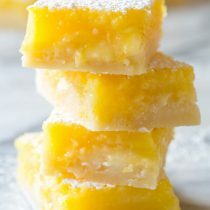 Using an electric mixer, beat the butter and sugar together until light and fluffy—5 minutes. Add the salt, pumpkin pie spice, eggs and vanilla bean seeds. Beat to combine. When ready to bake, preheat the oven to 375 degrees F. Line several cookie sheets with parchment paper. Remove one disk at a time. Flour a work surface and roll the disk out to 1/8 to 1/4 inch thick. Work fast and cut the cookies as close together as possible. The more times you roll out the dough the tougher it gets. Use a thin spatula to transfer the cookies onto the baking sheets. Repeat with remaining dough. Bake for 6-9 minutes. Cool completely on the cookie sheets before moving. For the Sugar Cookie Icing: Whisk the half-n-half, extract and powdered sugar together until smooth. Add food coloring if desired. Dip and face of each cookie into the icing, then set on a rack to dry. These are amazing! I made them for a treat for my niece’s leadership team(they loved them!). Great Post. All photos amazing. cookies are absolutely wonderful. These are seriously so creative!! Love the Sugar Cookie Icing. These cookies looking so cute and delicious. I really love your post. Thanks for sharing. 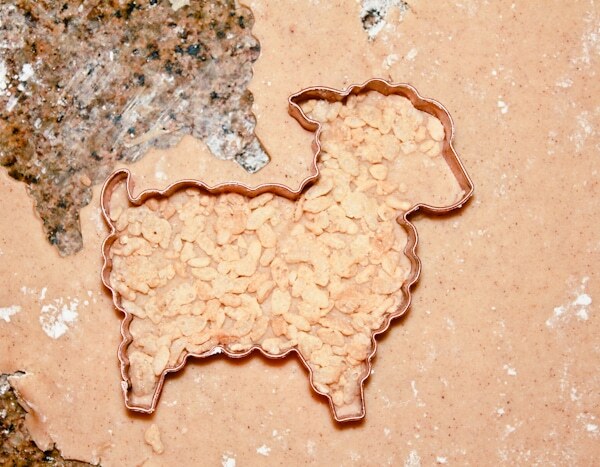 Can you tell me where I can find the lamb cookie cutter that you used? Thanks. Hi Diana, I think I ordered it on Amazon a long time ago. These cookies are so adorable and I love anything pumpkin flavored. I got really excited to try them out but I can’t find a whole vanilla bean anywhere around me, do you know how much extract I could use instead? Thanks! Can these be made the day before? And, if so, should they be stored in the refrigerator because of the half and half? Hi Terry, I make them ahead and will leave them out on the counter a few days. But I’m not a health inspector. ;) We’ve never had an issue. My mother in law caught a live chicken in the grocery store parking lot last week, and I thought THAT was an adventure. Y’all win. what a hoot! you sure do showers to the hilt! 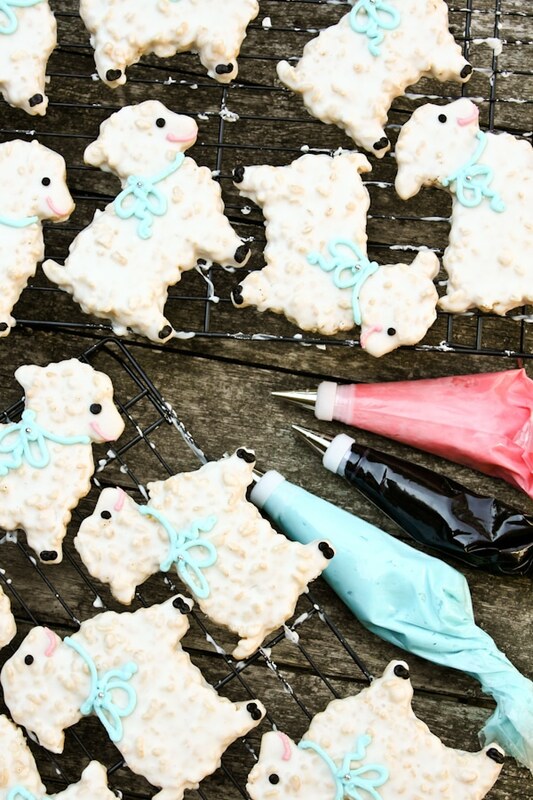 love the cute little lamb cookies…will def remember these recipes when it’s time to do Christmas cookies with the grandgirls! Those cookies are absolutely adorable, and the Rice Krispies are a great idea! Hahaha~ That’s so funny and so cute at the same time! Seriously, this might be the cutest sugar cookie I have ever seen. And the cereal didn’t burn??? So amazingly cute! Oh, those lamb cookies are just adorable! Such a beautiful shower and these lamb cookies are precious! What adorable cookies. 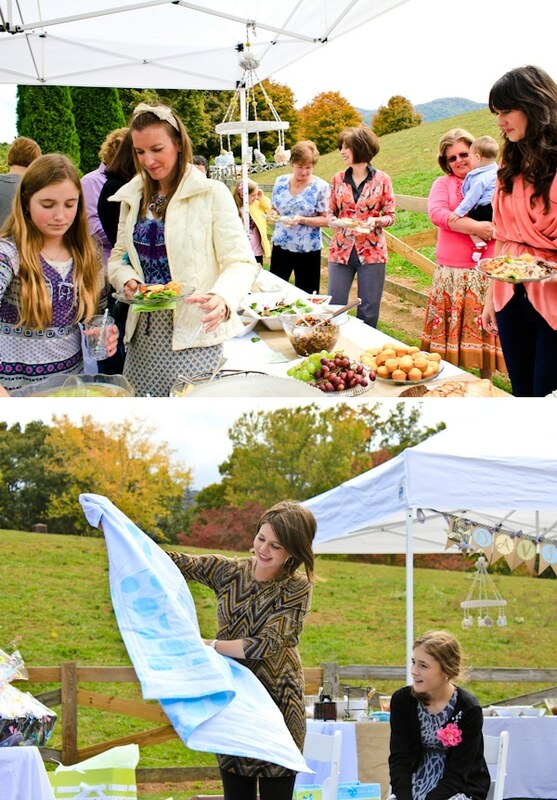 It sounds like the shower was truly unforgettable…not just for the wonderful food. Glad you could call the farmer to get the lamb. I just stumbled upon your wonderful post. 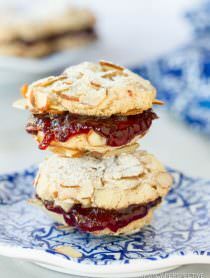 The lamb story made gave the post 5 “bonus” stars to your already 5-star recipe (darling cookies, beautiful photos). I realize how difficult the lamb made the day, but your story certainly made mine. Thanks for posting! I’ll surely be back. Oh my goodness! I loved this post… from the cookies to the adorable little lamb. This brought a huge grin to my face! Wow, what an amazing shower. I loved that the lamb eluded you all for that long. Let’s hear it for working dogs! Now we know how they earn their keep. You sure no one caught the chase on film? As for the cookies; they’re gorgeous. Thanks for sharing both your icing recipe as well as the rice krispies trick. That’s pure genius. By far, the cutest post I’ve seen all day. Adorable! Unforgettable is right! LOL That must have been one heck of a day! Outstanding looking event! Fantastic cookies! Beautiful cookies and what an adventure with that little lamb. I adore cut out cookies but I cannot make them for the life of me. What a funny story although it might not have been so funny when it first happened. Love the texture on your cookies from the rice krispies. Wow! I love these. I have been shopping for a baby or rattle cookie cutter to make cookies for my daughters baby shower. The rice krispie addition is fantastic! 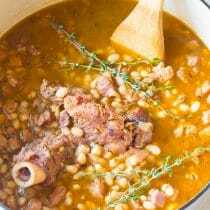 Another great recipe and oh so funny post! Lamb on the loose!! It looks like the shower was a success!! Those are the most precious cookies. I love the little lamb theme. How funny are those pictures of everyone chasing after that lamb?! Love it! 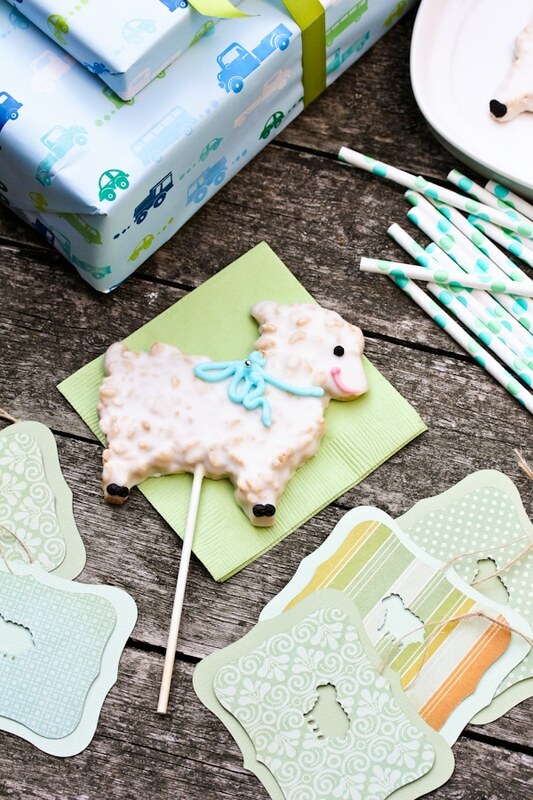 And I love these cookies even more, they are so cute and look perfect for a baby shower! Awww – such cute, sweet cookies! 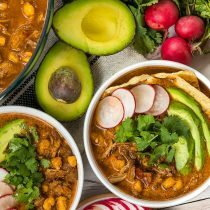 What a fabulous blog post! I laughed (great story) and I marveled (I’m loving that rice crispy technique!) Thank you for sharing with me (as always, I’m leaving your blog with a smile!) I hope you are doing well. Love and blessings form Austin! These are so adorable. What a wonderful post! OMG those cookies are adorable. I will heed the warning on livestock at a party! 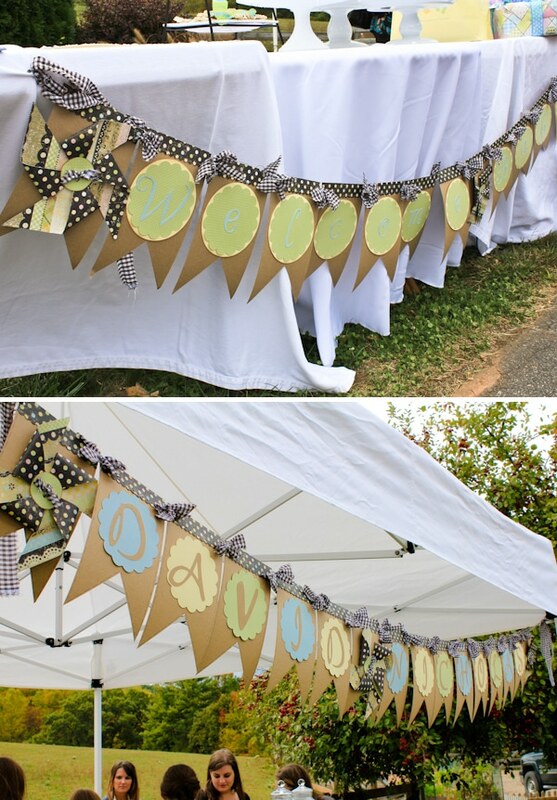 Ahhh…memories :) Looks like it was a wonderful baby shower. totally cute lambs, totally cute shower, totally cute story. can i be super lame and use a pun? okay, i will. this post is lambtastic. ha! YOu have NO IDEA how much I love this!!! I am a little bit biased of course, but the textures, OM goodness!!! And still laughing about the “never invite livestock to a baby shower” YOuu can always say you planned it as a shower game, LOL! Looked like a fun baby shower. Chasing lamb story is a great read. The cookies are lovely. I’m saving the recipe for when my daughter’s time comes. These are absolutely adorable!! 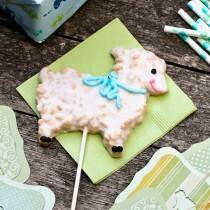 I’ve got to find this lamb cut out for my Easter cookies!! Those are the cutest cookies. What a great post. The shower looked like it was just wonderful. 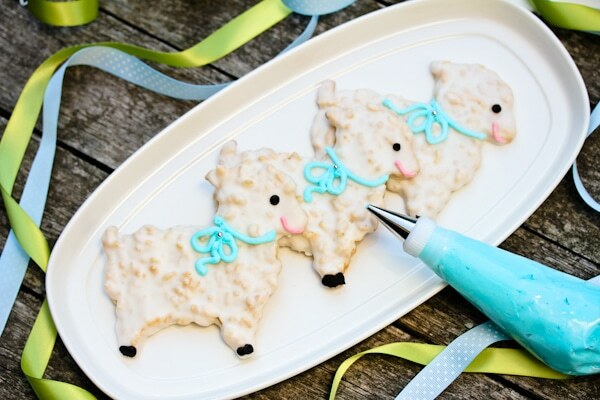 These are the cutest lamb cookies ever!! I love the shower theme, great tip with the cereal!! BRILLIANT! I love the addition of the rice cereal for the 3D effect. This are so darn cute!!! Look at that! I might invite that little lamb over to my house today. You know, just for fun. Haha! “Never invite livestock to a baby shower” So funny! These are so stinkin’ cute! 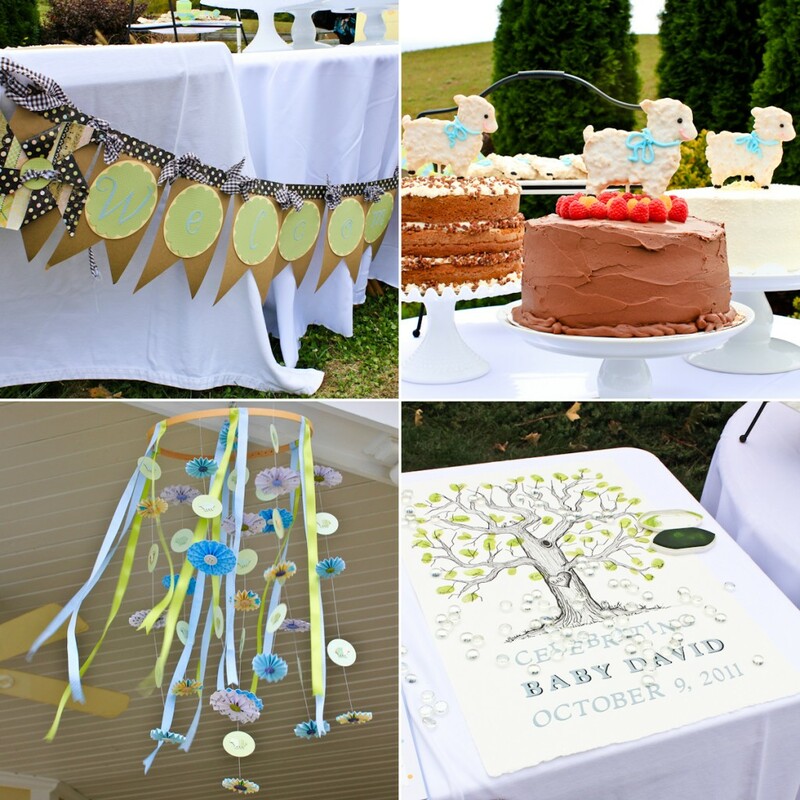 It makes me want to host a baby shower! These cookies are absolutely adorable and the idea to use rice krispies for the wool is inspired! Love the story about the runaway lamb. It sounds like it had no intention of being anyone’s “wow” factor. Too funny. I love your escaping lamb story. And you are a genious…..thinking up a way to make the wool with RiceKrispies. I can imagine that it offered a nice crunch surprise with every bite. I must try it soon. Love these cookies – adorable! Those are the most darling cookies and what a funny story with the lamb running free. Everyone will remember that baby shower for sure. i cannot get over how CUTE those cookies are! 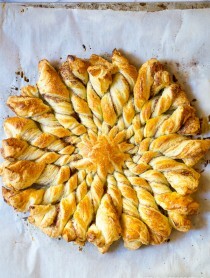 i really love the recipe too, must try.